Highlights: 465 participants. 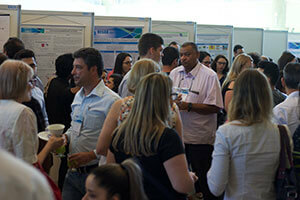 More than 300 papers received and more than 200 presented in the Congress. 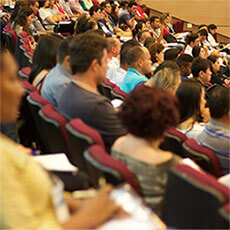 Participants from five countries, including 17 Brazilian states, representing government agencies, universities, research institutes and private companies. Fourteen Discussion Panels with about 40 speakers, plus a Round Table and a Technical Forum provided a comprehensive approach to all aspects of water usage, conservation and protection of water resources. A great opportunity for exchanging experiences and networking. 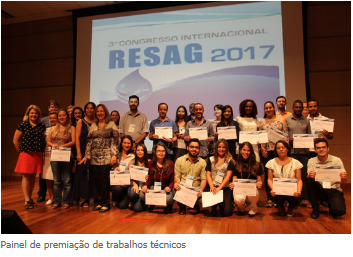 RESAG - Rede de Saneamento e Abastecimento de Água (Network of Sanitation and Water Supply) held its third International Congress in Belo Horizonte, capital of the state of Minas Gerais, Brazil, during the period of September 13 – 15, 2017 . The participants were able to discuss the latest developments in water supply and basic sanitation, a fundamental political and social issue for Brazil and many other nations. Brazilian managers and specialists benefited from the experience and knowledge shared by foreign participants as they presented how this issue is addressed in their home countries. Among the various organizations and institutions that contributed to the success of RESAG 2017 with conferences, technical presentations, and short courses, it is worth mentioning: i) the Cooperation on International Traceability in Analytical Chemistry (CITAC), ii) Lisbon University and iii) the Manufacturing Extension Partnership Program of the National Institute of Standards and Technology (NIST/USA). Their participation is a demonstration of the growing prestige of RESAG in the international scene. Dr. Vera Ponçano, RESAG coordinator, sums it up: “The high technical level of the Congress and the camaraderie among participants will be remembered for a long time”. This was the result of the excellent work carried out by the organizers that assured intense interaction and exchange of experiences among participants, especially during the short courses and technical presentations. On the last day, after the ceremony of presenting awards to the best papers, a colorful samba show followed by a cocktail closed the Congress. After the technical program, the participants had the opportunity to take part in a guided tour of the Inhotim Museum, an internationally renowned open air art museum located about 60 km southwest from Belo Horizonte. Art galleries, equipped with enormous wooden benches, are shown amidst flower beds, palm trees, patches of tropical forest and lakes. As in previous RESAG congresses, the members of the organizing committee made a point of seeking inputs from participants since the early planning stages. They believe that blending technical activities with periods of leisure and relaxation is the best way to promote interaction among participants and to reach the scientific, political and management objectives of the event. The success of this third RESAG congress follows the tradition of the first two. The impacts of this congress will remain for a long time. Certainly, they will motivate participants to be more and more committed to the protection of our most important natural resource: water. 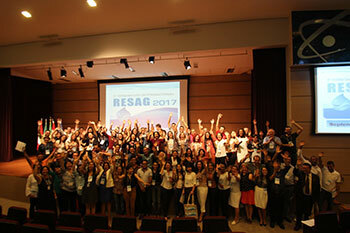 In a few more weeks, the RESAG webpage (www.resag.org.br) will show photos, videos and other documentation of the Congress. They will provide information that can be used by professionals in their daily activities and in future opportunities. RESAG Congress: a strong impact on participants, but zero impact in CO2 emissions! 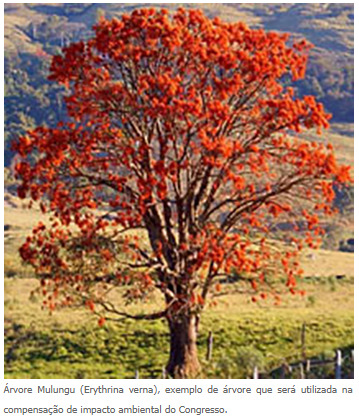 Due to an initiative of the SENAI Institute for Environmental Technology (Instituto SENAI de Tecnologia em Meio Ambiente – ISTMA), part of the Center for Innovation and Technology of the SENAI/FIEMG (Centro de Inovação e Tecnologia SENAI FIEMG – CIT SF), the environmental impact of the Congress was assessed. The CO2 emissions related to all the activities, such as transportation, meals, energy and water usage, exhibition booths assembly and disassembly etc., were quantified. This assessment was used to calculate the “ecological footprint” of the Congress and will be used in future events, so that actions can be taken for neutralizing it. “We arrived at a total of 22.62 CO2 e (CO2 equivalent tons) that will be compensated by planting 114 trees. The seedlings are being donated by the State Forest Institute (IEF/MG) to the Municipal Foundation for Parks and Green Areas of the city of Contagem (CONPARQ), and they will care for them” declared Marina Andrade Maria, ISTMA researcher. This timely initiative provided another positive aspect to our Congress that aimed at setting a milestone for international commitments towards ensuring access and protection of water resources. “This measurement taken by Ms. Andrada Maia is in line with what we practice and pray every day in our RESAG network about water resources: water – only in the right measure!”, declared Dr. Ponçano.